The team at Bigmate Racing will embark on their first PIRTEK Enduro Cup campaign this week, racing at the RABBLE.club Sandown 500. Drivers Todd Hazelwood and Bryce Fullwood will also have their first taste of the 500-kilometre race, with neither driver having previously competed in the 161-lap race. What would have been Hazelwood’s debut last year was unfortunately cut short after his mammoth accident at the circuit, with the South Australian excited for the challenge this weekend. “I cannot wait to take on the Sandown 500 in 2018 … last year at Sandown was a big weekend but for all of the wrong reasons, after a huge incident in the CoolDrive Commodore—it became a talking point for the rest of the season and it was a tough thing to manage,” Hazelwood said. “But a lot of racing has been done since then and I’m more than ready to take on all challenges presented heading into this weekend. After the debut of the Holden VF Commodore at The Bend, the team tested at Queensland Raceway last week to help prepare for the endurance season. “Our recent test day at Queensland Raceway went well and we are all continuing to learn lots with the VF we are now running,” Hazelwood said. Fullwood will be the team’s co-driver for the endurance events, with Hazelwood looking forward to see what he can bring to the campaign. “I believe Bryce will do a great job behind the wheel of the Bigmate Racing Supercar, fortunately he is racing a near-identical chassis in the Super2 Series, which will hopefully help his transition between the two cars. “The Super2 Series will also race on the soft compound rubber, which is the same as the Supercars Championship, so he should get a good understanding of what is required to maximise our package come race day. 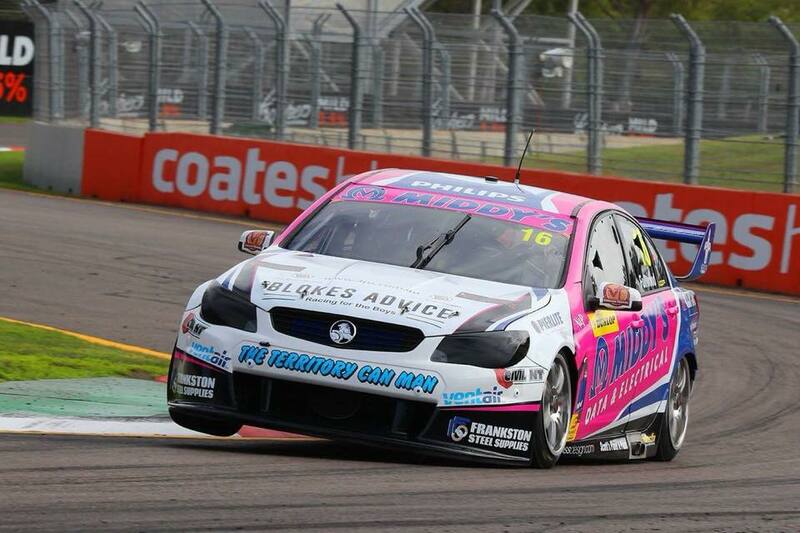 Fullwood is looking forward to getting back behind the wheel of the Bigmate Racing Supercar. “I’m feeling good, I am excited for the challenge and really looking forward to working with Todd … I’m going to be a sponge and have my eyes and ears open and learn as much as I can,” Fullwood said. There won’t be much time for Fullwood to relax at Sandown, who will also compete in the Dunlop Super2 Series this weekend. “It’s going to be a very busy weekend for me … on Friday I have five sessions in the car and a total two-and-a-half hours of track time compared to Todd’s 30 minutes,” Fullwood added. “Fortunately the Super2 and the main game car are relatively similar, so that’s helpful. Fullwood will hit the track for opening practice on Friday, with racing to run at Sandown International Raceway on 14-16 September.